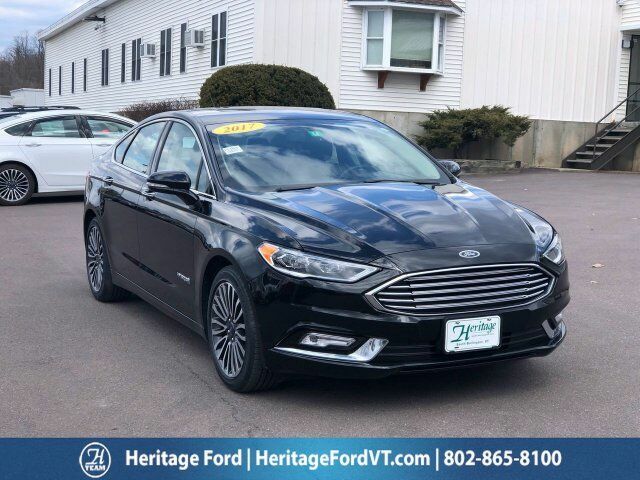 Black 2017 Ford Fusion Hybrid Titanium FWD eCVT I4 Hybrid I4 Hybrid. *$645 lease acquisition fee (when applicable), $299 documentation fee, $35 title, $5 lemon law fee (new vehicles only), $11 lien fee, $76 registration fee and 6% Vermont state sales tax not included, unless otherwise noted. All state sales taxes and additional fees subject to change for vehicles registered outside Vermont. New Hampshire residents pay no sales tax.